Update (3/2/2015): MLive has reported that the jury has found the defendant guilty of unlawfully killing an animal and not having adequate care for an animal. His sentencing date is set for March 30. The defense lawyer for a 23-year old Michigan man who scalded a dog with boiling water before repeatedly running her over with his car says his client should be "thanked." 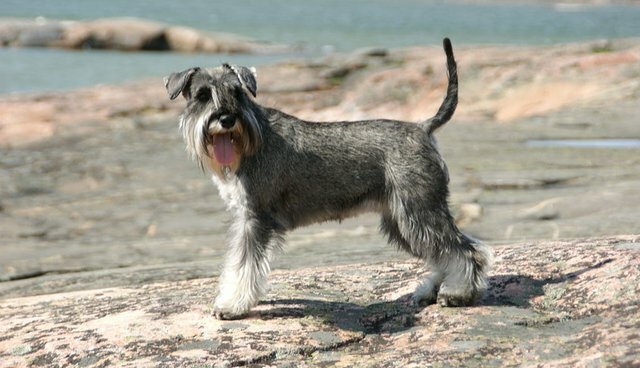 According to defendant Aaron A. Bellor, it was an accident that caused the third-degree burns on the back of "Sassy" the schnauzer. When her fur began falling out after trying to help her with a cold bath, the defendant saw no other option than to load her up in his car, drive out to the country, and repeatedly run her over until she died. His actions, according to defense attorney Edward M. Czuprynzski, were justified, reported MLive Thursday. "He did what he should have done," Czuprynski said. "He put that dog out of its misery. For that, he should be thanked, just like the farmer that puts a bullet through the cow's head. He did what he had to do, what any reasonable person without economic means should have done." Because Bellor did not have the veterinary funds or a firearm for a "quicker" death he should not, Czuprynski argued in his closing statement last Wednesday, be found guilty of the single counts of unlawfully killing an animal and not having adequate care for an animal. While the first charge is a four year felony, not having adequate care for an animal is only a 93-day misdemeanor in Michigan. However, Czuprynski argued, if Bellor had simply abandoned the dog out in the cold as he initially intended, that would have been grounds for the felony he is charged with. The defense argued that Bellor "took corrective, remedial steps" when he decided to coax the dog back to the car and run her over. Assistant Prosecutor Jeff Stroud, however, believes there was malicious intent behind Bellor's actions. "The answer to that [situation] is, 'don't leave the dog out there', not 'coax it into the road and run it over'," he said. "How is that more humane? We're going to give him bonus points because instead of freezing a dog to death, he chose to run it over several times with a car?" While Stroud agreed that Sassy did require medical attention, he disputes that they were severe enough to warrant an immediate execution. He referenced testimony provided by witnesses who say they saw Sassy running and prancing in the field moments before being killed. And why, Stroud asked the jury, didn't Bellor seek help? "The notion that he doesn't know he can call 911 to get help borders on ludicrousness," he said. "It's incredible that would even be offered to you as an excuse for his behavior. There is nothing about this that is the right thing. What he did is not acceptable. It's totally unacceptable."